Issuing 1099 forms is probably one of the more confusing tax topics for small business owners. Businesses are required to issue 1099s to certain vendors and contractors to whom the business made payments of more than $600. The 1099 is used by the IRS to reconcile income amounts, e.g. if you say you paid Joe the Plumber $1000 in your 1099, the IRS will now expect that Joe the plumber have an income of at least $1000. Businesses are required to mail out 1099s to all applicable vendors and contractors by January 31, 2017 and now also file 1099s with IRS by this date in certain cases such as hiring contractors to perform services. Previously you had until the end of February to file with the IRS, but the deadline has been moved up this year. The penalties for not filing 1099s in a timely fashion, can be severe. Fines can range from $30 to $100 per each 1099 form you were required to file depending on how late you filed, with an annual maximum of $500,000. Below are some Q&A’s regarding the 1099s. Who Receives a 1099? Generally you need to issue a 1099 to anyone to whom you made payments of $600 or more during 2016 for rents, service (including parts and materials), prizes and awards, or other income payments in the course of business . You are typically required to issue 1099’s to individual, partnerships, estates, and LLC’s. Typically, you do not have to issue 1099s for payments made to a corporation, but as LLC’s can legally be either a partnership, sole-proprietorship, or a corporation, most accounting professionals agree that you should issue 1099’s to LLC’s unless you have a W-9 from them stating that they are a corporation. What are the exceptions? As noted above, you do not have to send 1099s to corporations (unless it is an incorporate lawyer, which the IRS specifically calls out). You also do not need to send 1099s to people that you purchase a product or merchandise from. Generally, 1099s are only for services. You also do not have to report any payments you made through credit cards or debit cards on 1099s as those are made through and reported by payment settlement entities. There are several other exceptions as well. How do I issue a 1099? You can issue a 1099 either manually or electronically through the use of accounting software. 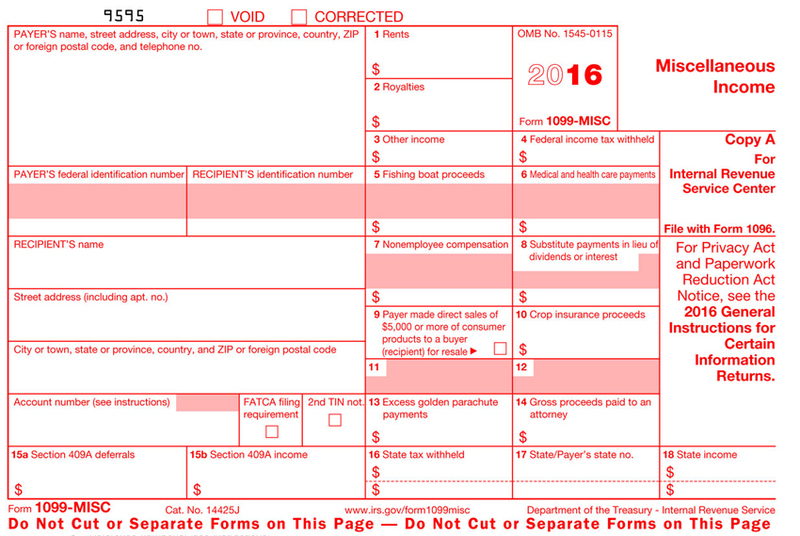 If you are issuing manually, you must order the 1099 and 1096 forms directly form the IRS. You can order online at IRS.gov or call 1-800-TAX-FORM to order by phone. While you can use a downloaded form to issue a 1099 to applicable vendors, the downloaded form will not be accepted by the IRS for filing as it will not be recognized by their automated document scanners. The form contains two copies, Copy A to be filed with the IRS and Copy B to be issued to the recipient of the form. After issuing the Copy Bs to your vendors and contractors, you must mail the Copy As with the IRS along with a 1096 form which is basically a letter of transmittal. Filing electronically is much easier, as there are no forms to order and no need to mail documents to the IRS. Are you in need of filing 1099s? Are you not sure? Abcon Advisors can help you file all your required 1099 electronically and on time. Contact us today for a consultation. Abcon Advisors is a accounting and consulting firm based in Nutley, New Jersey. All information presented on this website is for informational purposes only. It is not intended to be actual tax advice and should not be used as such, without the consultation of a tax professional familiar with your unique tax situation. Copyright © 2019 Abcon Advisors. Powered by WordPress. Theme: Spacious by ThemeGrill.